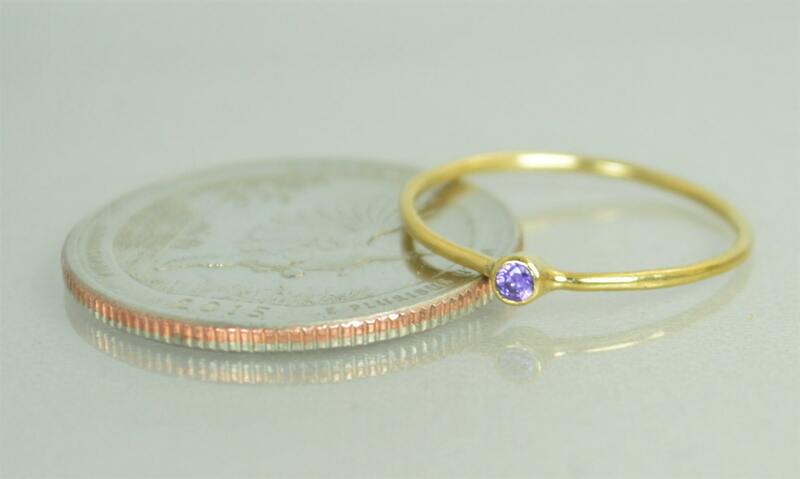 - Tiny 2mm amethyst stone for just a flash of color. 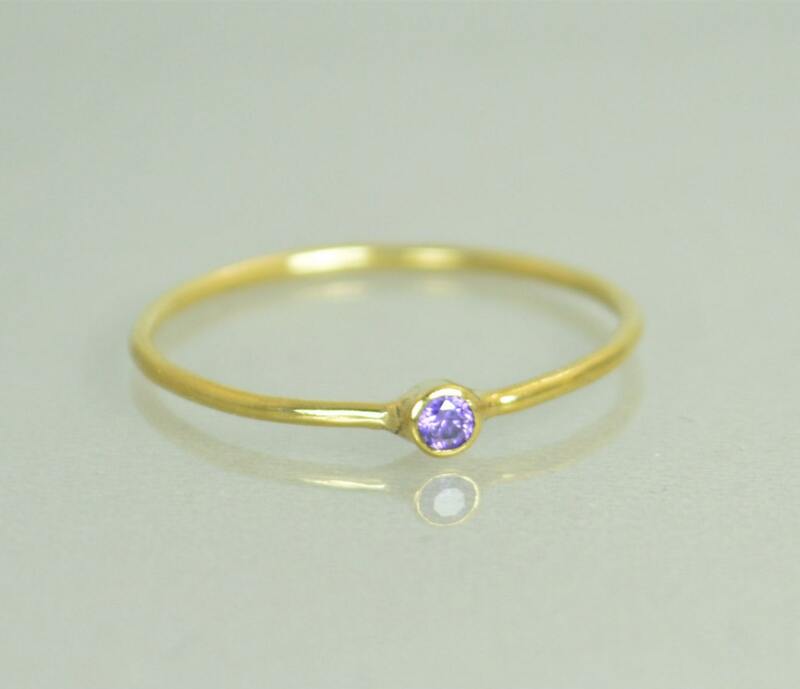 This ring is made from high quality Yellow gold smelted in the USA and is suitable for daily wear. 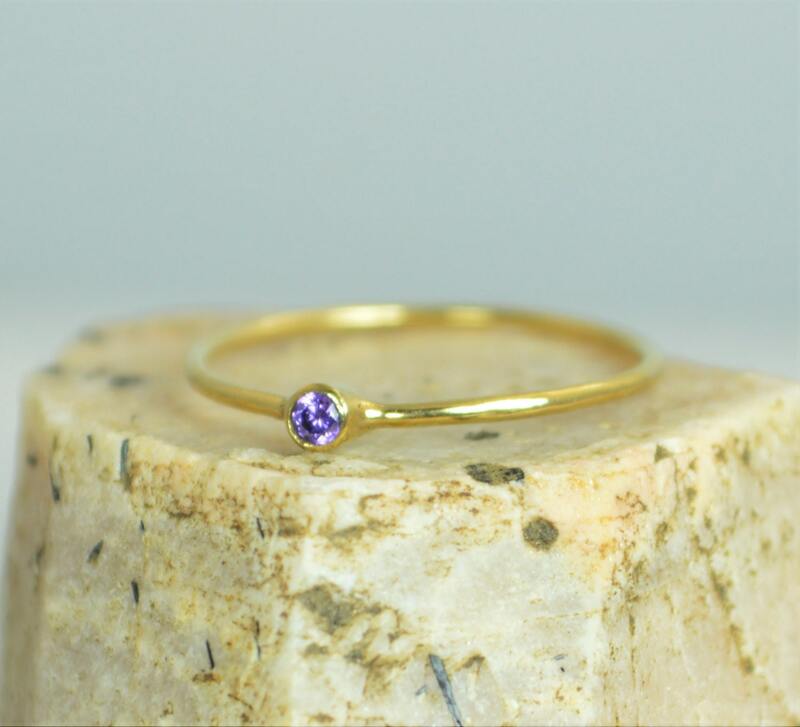 • Your choice of 2mm man-made CZ or natural amethyst stone.